Toggl is a very popular time tracker that is currently used by around 1.8 million “productive Togglers”. Typically, companies like it because employees actually use it and are more productive, while workers like it because they find it easier to use, which all explains why it is achieving success in displacing conventional timesheets. Some of our customers prefer to track time with Toggl but they want to use Breeze for project management because of our simple task board approach. To help with this we have a pretty simple integration that lets you get the best of both. To integrate Breeze and Toggl all you have to do is use the great free Chrome extension. Just download it for your browser from the Chrome store. You’ll know you’re ready to start tracking time from Breeze straight into Toggl when you see the Toggl button on your browser toolbar. It’s all synced as it happens in real time to your Toggl account, so you can easily get to your time tracking information and reporting. The task name you enter into Breeze is listed with the time entry and the hh:mm:ss that are tracked. Just start the Toggl time tracker from the project or task in Breeze. We also record the tracked time in Breeze, so you can get at it without leaving Breeze. Or you might want more comprehensive reporting features, in which case go see it in Toggl. Breeze is a big board of lists. The lists contain tasks which you move from lets to list as they are progressed. 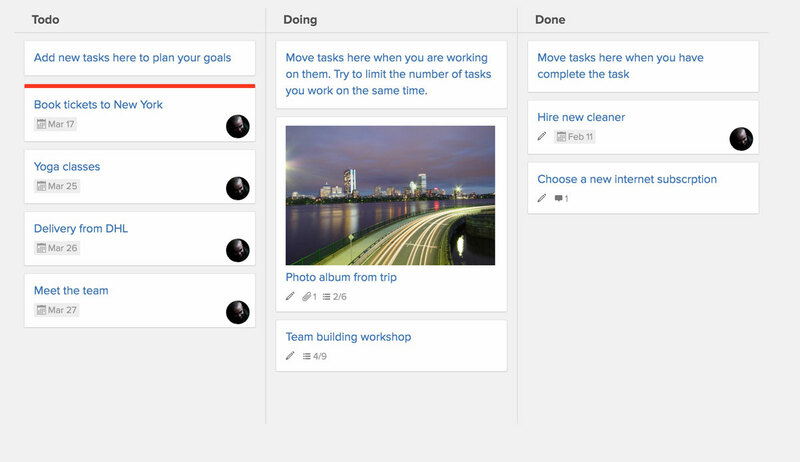 You can use Breeze in different ways to manage the things you need to get on top of. Take a look at these and think how they might work for you. A simple three list board, using Todo, Doing and Done lets you manage tasks in your everyday life as well as in your work. Plan your day, mix and match business with pleasure and all that everyday stuff that just has to happen. Expanding the simple board approach to mix in task listings in Todo and Done with deadlines such as Today and Tomorrow enables longer timelines to be incorporated. A retrospective board looks at past project activity and typical lists on this type of layout might include Went Well, Needs to Change, Questions & Discussions, Action Items. It lets you integrate a continual process of quality management and improvement, which helps your team to perform better. And all the time you are using Breeze in Chrome with the browser extension, Toggl is there for you, ready to track your time every step of the way. How would you like to use Breeze and Toggl? These are just some basic ways of getting your head around how to unleash the power of Breeze combined with Toggl to manage projects and track time. We’ve kept it simple on the top to help make it easy, while underneath, we’ve embedded the functionality and features that enable Breeze to handle serious project management. Thinking about how you like to work and the sort of projects you work on, how would you use Breeze?